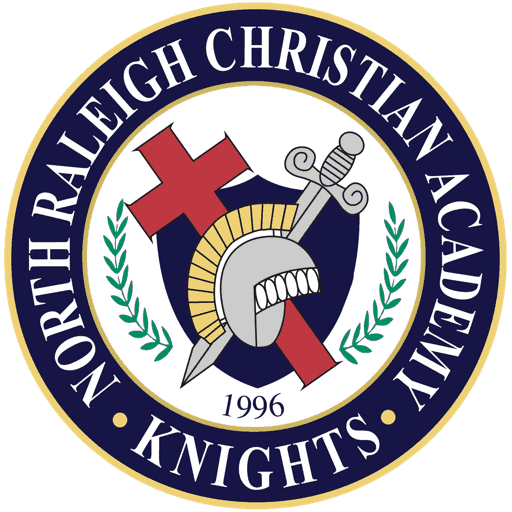 The goal of kindergarten at North Raleigh Christian Academy is to provide academic excellence and spiritual/character development in a Christ centered environment. Our program fosters a feeling of love and reverence for God and respect for the value of others around us. In a positive atmosphere, we maximize each child’s God-given abilities academically, spiritually and emotionally, as we instill the love of learning and provide learning experiences that facilitate development of the whole child. Our curriculum consists of daily core subjects of Bible, mathematics, phonics, reading and writing. Enrichment classes are social studies, science, art, computer, physical education, Spanish and music. These learning experiences are balanced with parties and off-campus field trips. The kindergarten teachers encourage parental involvement and communication. Our kindergarten teachers look forward to partnering with you in making the kindergarten year of school one that both you and your child will enjoy. Bible time and prayer is a very important time of our kindergarten day. The ABeka Bible program has colorful visuals that help tell the stories of the Old and New Testaments. Students are encouraged to apply the moral lessons of the story to their lives at their grade level. Each week a Bible verse is memorized. Bible hymns and choruses are enjoyed. Each month we highlight a special character trait, such as obedience, respect and responsibility. The social studies curriculum in kindergarten seeks to build upon the foundation of family and community as children develop an understanding of the need for laws and government. A study of community helpers broadens to an introduction of map skills and the history and geography of our country as they explore America. Worldview is extended to an understanding of God’s love for all people as they learn about other cultures. Countries such as Mexico, Kenya, China and Australia are explored. The kindergartners begin the year in math by learning their shapes, patterns, position words, comparisons, and calendar parts. Fractions, ordinal numbers and the writing of numbers are introduced later in the year. They learn to count and recognize numbers from 1 to 100, as well as counting by 2’s, 5’s, and 10’s to 100. Addition and subtraction are taught using manipulatives. They also learn to tell time, count money and understand measurement. These concepts are taught in conjunction with various hands on manipulatives. The science curriculum builds upon the natural curiosity of young children as they discover the wonders of God’s creation. Students learn about the world around them as they investigate God’s plan for weather, seasons, seeds, animals and their own uniquely designed bodies. The kindergarten language arts program offered at North Raleigh Christian Academy has a strong phonetic base. The students become skilled readers as they learn: the name and sounds for the short vowels, consonants, blends, long vowels, vowel rules, and special sounds. The students work in small groups to complete twelve phonetic readers. The writing program is correlated with the reading program. As students learn a new letter, they also learn to write the letter. As the year progresses students will write blends, words and sentences. The language arts program at NRCA is integrated with reading, writing and literature and includes creative writing, songs, poems, crafts and games that reinforce the skills as they are learned. Children of all ages need to experience free play to develop and enhance creative thinking and self-confidence. Our facility offers equipment designed to strengthen gross motor skills as well as encourage free play. Each day the kindergartners have an opportunity to play outside on a playground, or, on inclement weather days, in a gymnasium with age appropriate equipment. Once a week the students are engaged in developing their motor skills in a physical education class which introduces them to team sports and games. We focus on helping the children stay physically fit as well as enhancing their ability to play corporately.